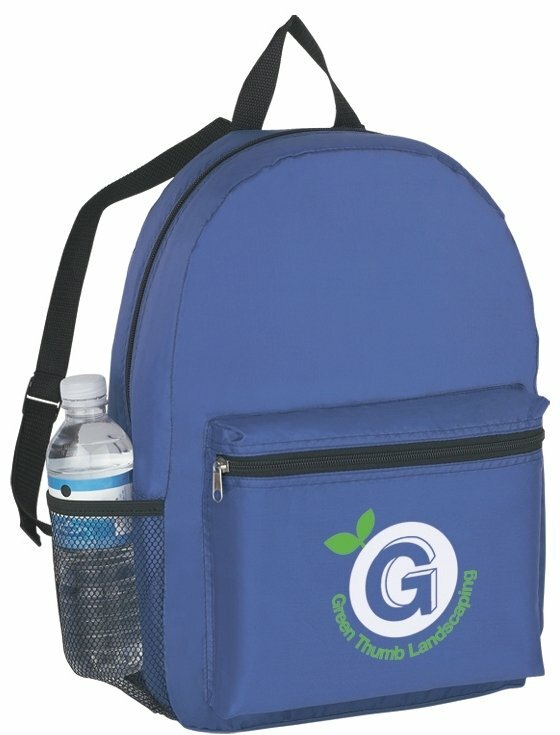 At this low cost the applications are nearly endless for the Budget Backpack with your logo. mesh side pocket, top grab handle, adjustable backpack strap, many colors. Overall size of the Budget Backpack is 12" wide x 16 1/2" high x 5" deep. Price includes a one color imprint on the front area 7" w x 4" h.